Genre: Fantasy, steampunk, sci fi!!!! I saw that Django Wexler called it, “part Indiana Jones, part Pirates of the Caribbean, and part Mistborn." That was all I needed to know. I was hooked. 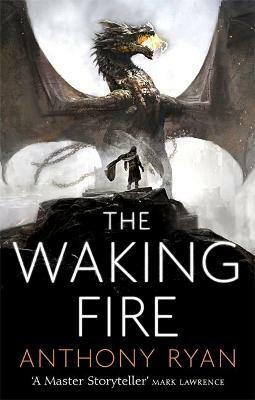 I immediately put all my other reads on hold and plunged into The Waking Fire with more enthusiasm than I've been able to must for a book in months. I am exceptionally pleased to say it was entirely worth it.